We are increasingly aware of what we eat and many people follow a free-from diet. Some people have food intolerance and avoid a common ingredient accordingly whilst others simply choose to avoid some foods. Ten years ago we didn’t seem to hear much about free-from diets but now food products for a variety of free-from plans have their own aisle in the supermarket. Combined with social media, it seems that we all know someone who is avoiding something, but what are the most common free-from diets and what benefits do they have, if any? Gluten is made from gliadin and glutenin, both proteins which, when combined, create a gooey bond that gives baked goods flexibility, volume and texture. Gluten is found in wheat, barley and rye. 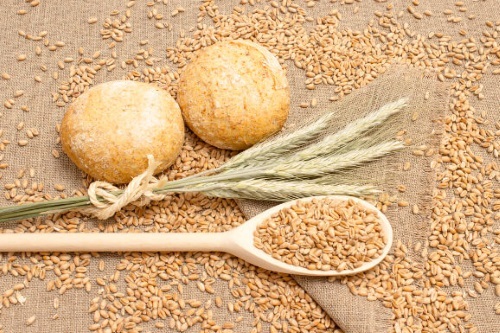 Gluten intolerance is known as coeliac disease which is thought to affect 1 in 10 of us. When a coeliac has gluten the specific proteins aren’t tolerated in the gut and reduce the ability of the body to absorb nutrients. This can lead to diarrhea, bloating and dry skin as well as symptoms often linked to IBS. A gluten-free diet means having alternatives to regular foods, such as pasta or bread, made from flours that are naturally free from gluten. For example, pasta or breads made from rice or lentil flour. Wheat is the most commonly avoided grain but some people choose to avoid wheat only, not gluten, so they can eat foods that are naturally wheat free such as rye bread rather than the standard loaf, or rye crackers in place of the more familiar wheaten crackers. Some people feel that wheat ‘irritates’ the lining of the digestive system, which can cause discomfort. Whilst this may be a rare condition wheat free diets are increasingly common. As they are not as restrictive as a full gluten free diet, a wheat free one is easier to maintain as there are more choices. Dairy intolerance can be to the whole food or to the presence of a milk sugar known as lactose. If it’s the latter then they can choose to have dairy made from lactose-free milk but if it’s a wider intolerance to all dairy, then there are now alternatives. Dairy is found in the obvious places but sometimes in confectionery, condiments and prepared foods so avoiding it can be challenging at first. Dairy-free milks, yogurts and ice creams can now be easily found, made from nut, soy or rice milk, all of which are suitable for anyone on a dairy-free plan. If you are on a dairy-free diet then do remember that calcium may be in many other foods, but calcium from dairy is in an especially easily absorbed form. If you get a free-from diet right then there is no reason why it can’t be as nutritious as the best diets, but do take advice from a nutrition professional to guide you through the early stages. And during that period you might want to take a good multi-vitamin and mineral whilst you get used to what you can and can’t eat. As much as I enjoy this time of year it can be a little fraught when trying to maintain any chosen eating plan. As a coeliac I obviously have a gluten-free diet but on top of that I like to eat a certain way (not too many carbs, but plenty of lean protein and vegetables for example) and whilst it is good to indulge a little, relying on other people to cater for me can be problematic. But whether you are coeliac, vegan, nut-free for example (or all three), the office party or a festive meal with family can cause anxiety. Added to this there seems to be so much more to do in the run up to Christmas, what with finishing up work before the break as well as catching up with friends. Managing energy levels can be a problem too with so many commitments, but you can help keep energy levels consistent by taking advantage of how the human body digests different food groups for use as fuel to make glucose. The digestive system is able to break down simple carbohydrates (such as white bread, pasta, rice or sugars) relatively easily but the denser, more fibrous complex carbohydrates (brown rice, whole grains, whole fruit rather than juice for example) take a little longer. Protein and fats take longer still. Having small meals and snacks at regular intervals during the day as well as always combining protein with complex carbs every time means that glucose is created in a drip-drip way rather than as a rush of energy, which can leave you fatigued and hungry within the hour. In simple terms, that might mean a bowl of porridge with some added nuts for protein and a little fat for breakfast, hummus on a cracker mid morning and lentil soup for lunch. A vegan burger would be ideal in the evening along with plenty of vegetables and some quinoa, but any protein will do, be that tofu, beans or Quorn. 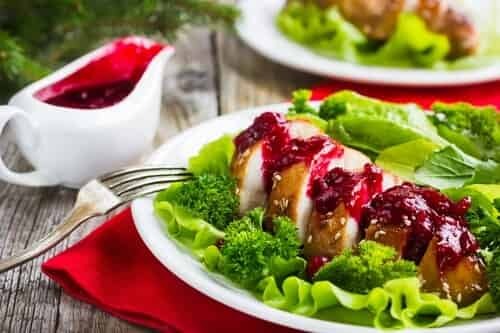 This way of eating is quite sustainable even in the festive season as any complex carb or protein works and so you should be able to find something to eat even if someone else is in charge of the catering. Smart supplementation could also be useful – you might consider a multi-vitamin and mineral that contains chromium which helps maintain blood glucose levels (which combines well with the way of eating described above). You might also take a B12, beetroot and iron complex containing iron, vitamins B2, B6, B12 and C all of which help combat fatigue. Leave room for treats and plenty of fun too. In my case nothing hits the spot like mince pies, by far my favourite festive food and worth waiting all year for. The immune system is an extraordinarily complex web of components that protect the human body from a vast array of potential threats. From food poisoning to hayfever, sniffles to more serious threats, the immune system is continuously challenged. Our diets should be optimised to provide healthy amounts of the key nutrients necessary to support the specific action of immune cells within the body. There are several types of immune cells manufactured in various locations in the body, but it is white blood cells that are perhaps the most active as their job is to destroy rogue viruses. They do so by miraculously changing shape and engulfing a viruse reducing it’s influence on the body little by little. This process is known as ‘phagocytic action’. White blood cells that have this ability are known as ‘phagocytes’ and a robust immune system will have a large number of them. Both the number of white blood cells and their action can be influenced by specific nutrients, and hindered by certain foods. To support the immune system it is encouraged that these nutrients be ingested to aid both the formation and consequently, number of white blood cells, as well as optimising their efficieny or phagocytic action. Which nutrients should be focused on? Selenium is involved in white blood cell and antibody production. Probiotics should be considered too as they can help with the penultimate stage of digestion as well as combat niggling bacterial and fungal infections, which may be depleting the immune system. Plain yogurt is a good source as are supplements, but get the best quality you can afford as not all probiotic capsules are equal. Vegetarianism is a term that has been used since the 1800s to describe a ‘vegetable diet’. This seems fairly late considering being vegetarian itself originates from the 7th century BC. The western world may not have caught on to vegetarianism as quickly as maybe other regions but it’s now catching on fast. According to The Vegetarian Society, in 2012 there were 1.2 million vegetarians in the UK; this has since risen to 4 million! A consumer trends report by market research company Mintel found a steady increase in the vegetarian diet with 20% of 16-24 year olds now trending towards saying no to meat. So why are so many more people choosing a vegetarian diet? Health: perhaps unsurprisingly this features high on the list. Vegetarians are thought to have a lower risk of heart disease and some cancersi, something recently highlighted by the World Health Organisation, which draws links between processed meats and colorectal cancer. Ethics: with ever more information at our finger tips via the internet and available through journals and books, we are all becoming increasingly aware of the impact we are having on the planet. Couple this with the increased media attention on topics such as animal cruelty, ethics is thought to be influencing many to make lifestyle and dietary changes. Religion: Hindus and Buddhists tend to follow a vegetarian diet. Some other religions are not as strict, but avoid specific types of meat. Dislike of taste or texture: some people just simply don’t like the taste or texture of meat. You may be clear on your reason for choosing a vegetarian diet but have you thought about what type of vegetarian you are, there’s quite number of variations? 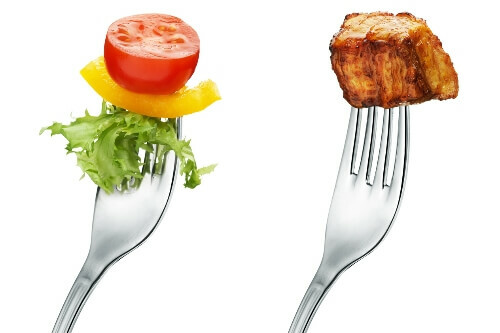 One size doesn’t fit all, what type of vegetarian are you? If you follow The Vegetarian Society’s traditional style of the diet you include plant food and avoid any meat, game, poultry, fish and crustacean. Flexitarian/semi vegetarian: combining both plant food and a reduced amount of animal food intake. This is a popular choice as a starting point to ease into a more strict vegetarian diet. Lacto vegetarian: includes honey and dairy products such as milk, yogurt, and cheese and no other animal based foods. The lacto ovo version would also include eggs. Pescatarian: includes fish, dairy, eggs and honey but avoids meat. 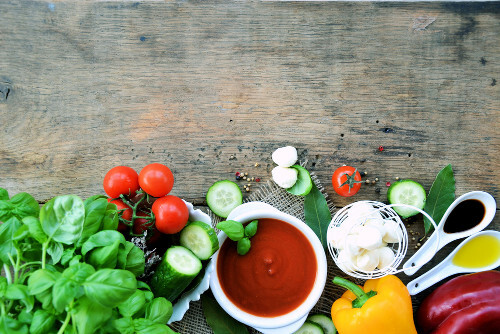 Whilst vegetarianism is largely considered a healthy diet choose, some food alternatives may include refined or processed foods making them less of a healthy option, so watch out! If you’ve got questions don’t forget to get in touch with one of our experts, we’ll be happy to answer any questions you may have. i) Lap Tai Le. Nutrients. 2014 Jun; 6(6): 2131–2147. Following a vegan, plant based diet is a great way to be healthy with all the added fibre and nutrients, but beware of the dietary pitfalls, especially with some of the clever marketing techniques and tempting treats to catch your eye. 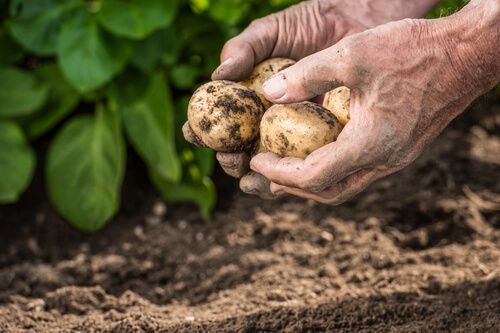 Nature knows best – Eat foods that could be planted and picked. If a food is processed, such as vegan cheese, chocolate and pasta, avoid it. Processed foods tend to contain sugar and artificial trans fats (bad fats) that provide ‘empty calories’ (with little to no nutritional value). Follow a predominantly raw food based diet as nutrients such as vitamin C tend to be damaged by heat. Raw foods also contain natural digestive enzymes to break food down making you less bloated, win win! Vitamin D – this is actually a limitation in all diets and yet it is crucial for bone development, mood and the immune system. You can get a small amount by having mushrooms, the other option is sunshine. In the UK, our friend the sun can be a little antisocial hiding behind the clouds, therefore a daily supplement of 1,000iu is recommended for the days we aren’t tanning ourselves in the summer rays. Vitamin B12 is only really available in seaweed, you may want to get the Japanese cookbook out and get your sushi on. On the days you don’t fancy that, aim for a vitamin B12 supplement. It can be a common deficiency for vegans, related to low energy, anaemia, depression and high homocysteine (inflammation). Keep an eye on your iron and calcium intake too, although you are unlikely to be deficient. Iron is important to reduce risk of anaemia, a healthy diet rich in green leafy vegetables, tofu and beetroot can help to maintain iron levels. Calcium intake may be lower, however, vegans seem to utilise what they have better. An animal based diet can be acidic leaching calcium from the bones, therefore reducing the strength of the bones! Time to makes some dietary changes? At Vertese® we’re very lucky that we get to work with many different experts and specialists in the field of nutrition. We asked our friend and well-known food expert, nutrition therapist and author Ian Marber, to share his thoughts on reducing or excluding meat from the diet. Back in 1999 when I first started my career as a nutrition therapist being a vegan was considered a little extreme and alternative, but just as nutrition has become more mainstream and accessible, so has a vegan lifestyle. Whilst I am not a vegan myself I have worked with countless clients who are and come to me for guidance to ensure that they are not missing out on any vital nutrients. Moreover they might come to see me to find a nutritional approach for day to day health issues just as anyone might whether they have a vegan diet or otherwise. More recently I have noticed an increase in questions, be they by email or to LBC or BBC radio where I have call in shows, about flexitarian diets. To the committed long term vegan the notion of being vegan sometimes must seem like an anathema but one could argue that this flexible approach is better than having no awareness at all of the amount of animal products in the diet. Recent media coverage of the World Health Organisation advice about processed meat and cancer risk certainly helps highlight this even for people who won’t change to a vegan diet but do want to cut down on how much animal derived product they consume. Now that it’s World Vegan Month, perhaps we might all consider making some changes. I have become more aware myself and have one day a week – usually Thursdays – where I follow a vegetarian diet. Doing this has made me far more aware of what I eat the rest of the time and as I exercise a fair amount helps focus my mind on getting enough protein and omega 3 from vegetarian sources. Admittedly it’s fairly easy as it’s only one day but it is a weekly reminder not to eat on autopilot. Whether you are a long term vegan or a carnivore considering making some changes there is always a way to make nutrition work for you. Whilst food should always be your first port of call there is often a role for supplements too – not taking them by the handful without appropriate consideration or advice, but taking the right supplements for your age and current diet. Our thanks to Ian for sharing his views and we’ll bring you more from Ian over the coming weeks. 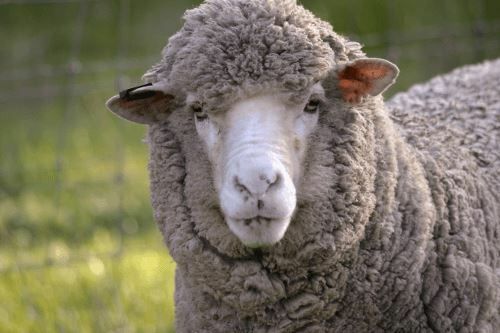 In his recent article for The Telegraph online, expert nutritionist Ian Marber talks about the need to supplement vitamin D at this time of year, and vegan alternatives to vitamin D3 derived from lanolin, found in sheep’s wool. Ian highlights our very own Mushroom D supplement, with vitamin D2 derived from white button mushrooms. Have you noticed the red noses and croaky voices recently? As autumn sets in it seems the cold and flu are doing the rounds again. I have come up with a list of ingredients to keep in your cupboard and fridge for the coming winter months to keep your immune system on top form ready to fight off any invaders. Elderberry increases immune activity to show 93% more rapid recovery from influenza1 . The berry contains a rich level of vitamin C which is supportive for the immune system and plant properties called flavonoids such as quercetin and anthocyanins which have health benefits. These flavonoids ‘blunt’ spikes on the outside of viruses such as the common flu to stop it from entering the cells to reproduce2 . Cinnamon and cloves both work as a nice antibacterial against any bacteria3 , the cinnamon has the additional benefit of reducing muscle pain4 . Manuka Honey has antibacterial activity that inhibits the growth of Streptococcus pyogenes, the bacteria that causes sore throats. Oranges and lemons are rich in vitamin C to work as a natural antiviral, the lemon also supports digestion which is often sluggish during a cold. Ginger works as a natural antiviral5 fighting against the flu6 . Ginger is also commonly used for nausea which can be a common side effect of the common cold or flu. The ingredients are easy to add to your diet, ginger sprinkled on fruit or an all time winter favourite is lemon, honey and hot water. 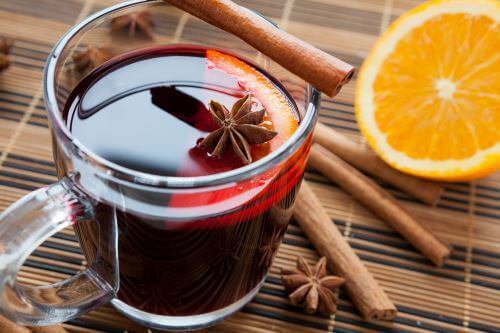 For your friends or family in front of the fire for the Halloween and Christmas season, you can serve up a warm glass of alcohol free mulled wine. You can even show off with your knowledge of why this tasty festive drink is going to help keep them fighting fit through the winter. Grate the zest from the oranges and lemon, and then juice them with the elderberries and add the cloves. Place all the above into a large saucepan. Add the water, honey, cinnamon sticks, grated ginger and raisins. Heat the mixture for 20 mins, try not to let it simmer. Remove from the heat and drain through a sieve into a large punch bowl. Your wine is now ready to serve. When you are making this drink for a festive event for your friends, you can tell them what is so great about this yummy concoction to keep them feeling great. Kong. Pilot Clinical Study on a Proprietary Elderberry Extract: Efficacy in Addressing Influenza Symptoms. J Pharmacol Pharmacokin. 2009; 5: 32-43. Mumcuoglu. 1995. Sambucus nigra (L), Black Elderberry Extract: A breakthrough in the treatment of influenza. RSS Publishing. Singh HB, Srivastava M, Singh AB, Srivastava AK. Cinnamon bark oil, a potent fungitoxicant against fungi causing respiratory tract mycoses. Allergy 1995;50:995–9. Soliman KM & Badeaa RI, Food Chem Toxicol, 2002, Nov;40(11): 1669-75. SHOKRI MASHHADI, N., GHIASVAND, R., ASKARI, G., FEIZI, A., HARIRI, M., DARVISHI, L., BARANI, A., TAGHIYAR, M., SHIRANIAN, A., HAJISHAFIEE, M.. Influence of Ginger and Cinnamon Intake on Inflammation and Muscle Soreness Endued by Exercise in Iranian Female Athletes. International Journal of Preventive Medicine, North America, 1, mar. 2013. Available at: . Date accessed: 12 Oct. 2015. Denyer CV, Jackson P, Loakes DM, Ellis MR and Young David AB, Isolation of antirhinoviral sesquiterpenes from ginger (Zingiber officinale), J Nat Prod 1994;57(5):658-662. 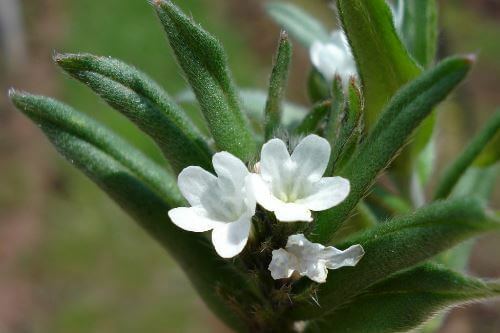 Ahiflower® is the trademarked name of a British grown flower that was originally known as Corn Gromwell. This pretty plant with its deep green leaves and pure white flowers has recently found its way to stardom in the media. This is due to the essential fatty acids (EFAs), especially omega 3, its seed provides, making it a great addition to the vegan and vegetarian diet. The plant contains essential fatty acids omega 3 and 6 in a balance and form that doesn’t disrupt nature’s balance. A form that doesn’t suit nature’s balance is high levels of omega 6 in the form of LA and omega 3 in the form of ALA. These forms of fat compete with each other in the system to be processed which can strain our nutrient reserve – more will become clear on this later. The great thing about this new form of fats is that the plant was initially classed as a weed, as it grows in abundance and is easily sustainable in most conditions. This makes it a great source that does not need aggressive agricultural farming methods. An area roughly the size of Twickenham rugby pitch will produce 200 kilograms of Ahiflower® oil; the same amount would require 200,000 oily fish such as sardines. When looking for EFAs on a plant based diet, there is quite a bit to think about to make sure you are getting the best. Omega 3 seems to be the most challenging to achieve, not from the lack of plant foods that provide it, but from the lack of plant foods that contain the active form Eicosapentaenoic Acid (EPA) that your body can utilise. The most active form of omega 3 that our body uses is EPA and Docosahexaenoic Acid (DHA) which is readily available from two food sources; fish and algae. What makes EPA and DHA so important? You can get omega 3 from plant sources such as linseed oil but they provide omega 3 Alpha Linolenic Acid (ALA). The body can change ALA into fats that you need, but the amount it produces is very small (6% EPA and 3.8% DHA). Ahiflower® is completely different, its low level of ALA is completely compensated for by containing a high level of another fat called Stearidonic Acid (SDA). At least 30% of SDA will end up being EPA in the body. From the diagram below you can see how much less strain this puts on the body to form EPA without needing additional nutrients such as zinc, magnesium and vitamin B6. A teaspoon of Ahiflower® oil would provide 840mg SDA and 1.8g of ALA, this would provide roughly 400mg of EPA, this matches about half the level you would get from fish oil! Other plant sources don’t even come close to matching this. The Ahiflower® also contains omega 6 Gamma Linoleic Acid (GLA) and Linoleic Acid (LA) and omega 9 oleic acid (OA). The GLA level in the plant oil is particularly important for skin and hormonal health. 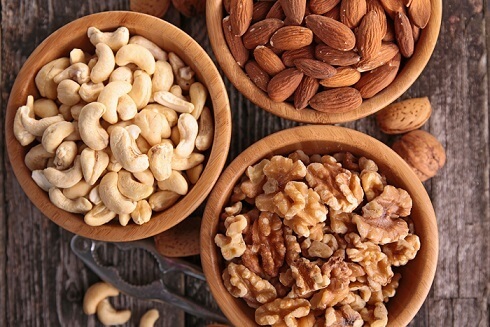 GLA doesn’t disrupt the body’s natural omega 3:6 ratio as the system doesn’t require cofactors zinc, magnesium and vitamin B6 to convert GLA to an anti-inflammatory called prostaglandin 1 (PG1). Certain high levels of animal fats may form prostaglandin 2 (PG2) which is an inflammatory marker. Too much inflammation in the system is linked to many health conditions such as eczema and poor cardiovascular and mental health through poor circulation. The LA does require cofactors zinc, magnesium and vitamin B6 but the combination of omega 6 GLA with LA and the omega 3 being in the form of SDA makes this less of a strain on the system and more likely to result in an anti-inflammatory response. Examples of plant foods that provide mainly LA as their omega 6 source are safflower and sunflower oil.